Community, to me, is a group of people (small, large, whatever) who choose to do life together. They realize it will be messy and tears will be shed. They also realize that burdens are easier to bear together rather than alone. There will be laughter and fun. There will also be help and encouragement. I think it can be hard to pursue community if you have been hurt before - by a friend group, or your family, or the church. Some people also keep more to themselves naturally. Trust me, my lifelong best friend is this way. There are communication differences, but true community accepts and encourages that. Community is about being who you are and sharing that with others. Living in community means sharing the good and bad parts of your life. The struggles and temptations AND the victories and joys. There is room for all of this!!! This can mean meals together or helping each other do a project. This can look like quiet nights watching a movie together or loud nights full of prayer and song. There isn't a perfect picture or checklist for community. It's all about willingness. Community is a choice. Community is important to me because I thrive on relationships. I like having people help me through the tough times, and I like having people help me celebrate the best times. I also like to be there for others as they endure the ups and downs that life brings. To me, loving your neighbor means letting go of your selfishness (OUCH!) and seeing the needs of others waiting to be met. This could look like something tangible if your neighbor needs groceries or help to cover a bill, but it doesn't have to be. Loving your neighbor can also include sharing stories, smiles, and praying for them. We tend to complicate ALL of this. It's simple. Life is better and more manageable together. Great post! Love seeing everyone's different views on community! 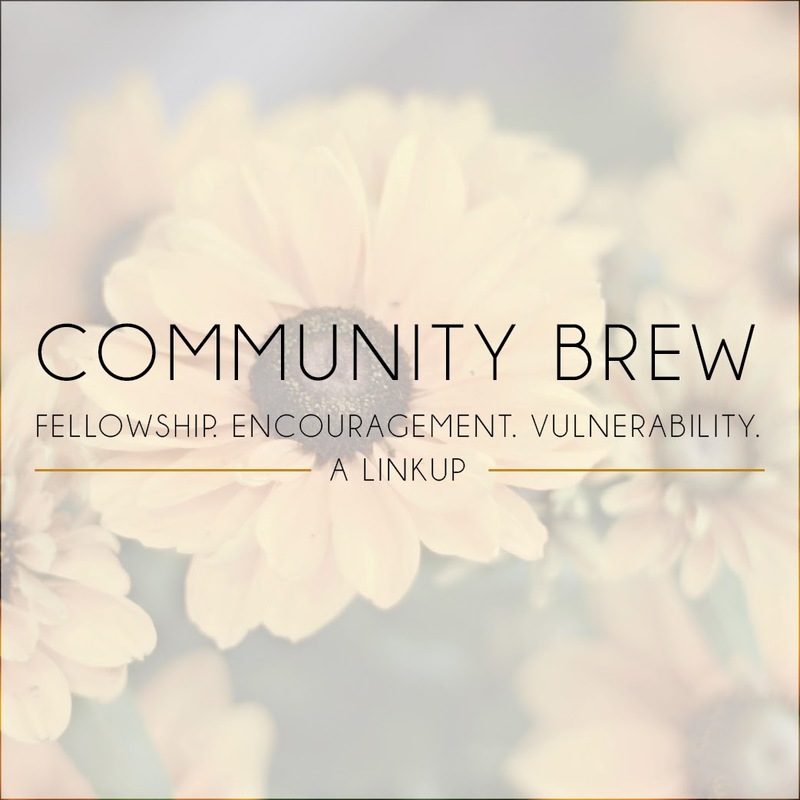 Oh girl, I just love this part: "There isn't a perfect picture or checklist for community. It's all about willingness. Community is a choice." You're so right, it is a choice and a blessing that God has given us to be able to grow in community. I am so thankful for this post and that you linked up with us! Thank you, thank you! "To me, loving your neighbor means letting go of your selfishness (OUCH!) and seeing the needs of others waiting to be met." Amen, and ouch for sure. It is so hard to let go of our selfishness, and to put others before ourselves! Thanks for linking up with and joining in on this community!